And a bunch of virtual machines ? Perhaps, you heard about our online course (on France Université Numérique [fr] or Coursera [en]) and our dedication to provide high quality teaching, free. This time we’re revisiting in-class teaching. 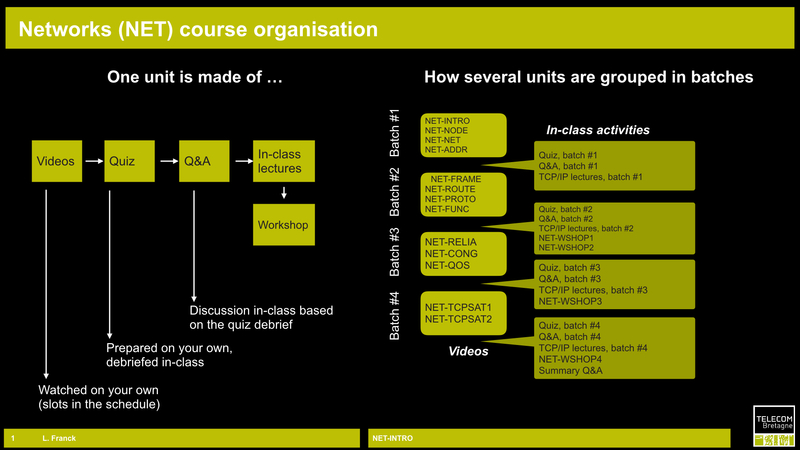 The networking course ([NET] see the programme page) is now mixing video contents and in-class lectures. More news later this year after we’ve gone through. The course is now complete and we processed the students appraisals. In short: it is a success. Students happy, teacher happy … can we ask for more ? 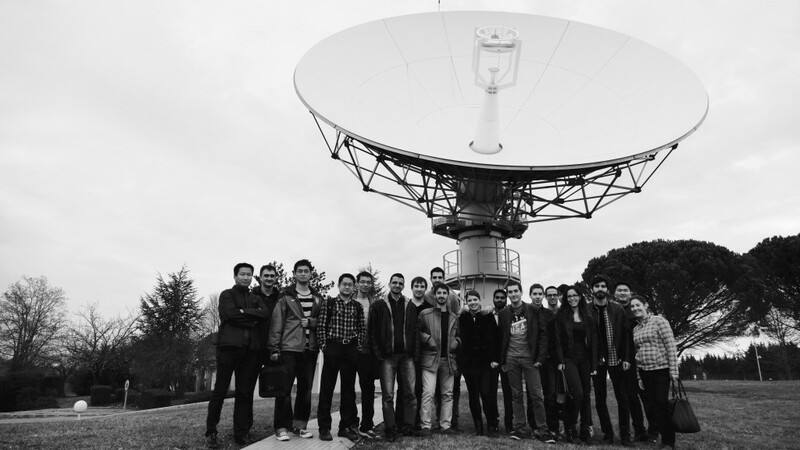 You probably read about SDR activities in our SatCom lab. Thanks to the variety of SDR devices we have (NI USRP 2920, NI USRP 2950R and NI PXIe 5644R) we are able to propose experimental projects to the students (such as this one, or that one or that other one). Today we made a step towards introducing SDR in the classroom. We received 7 NI USRP 2900. 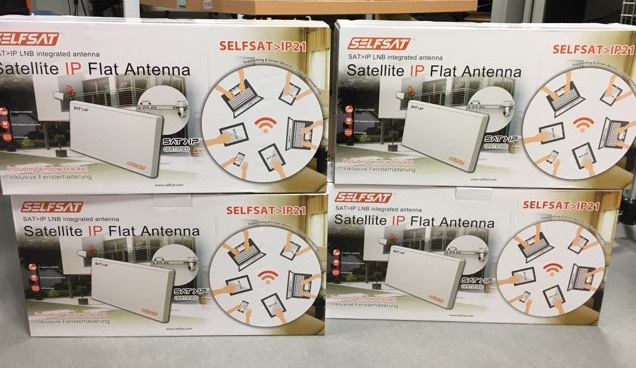 These devices are the first building blocks of our new set of lectures about Software Defined Radio for Space Applications. 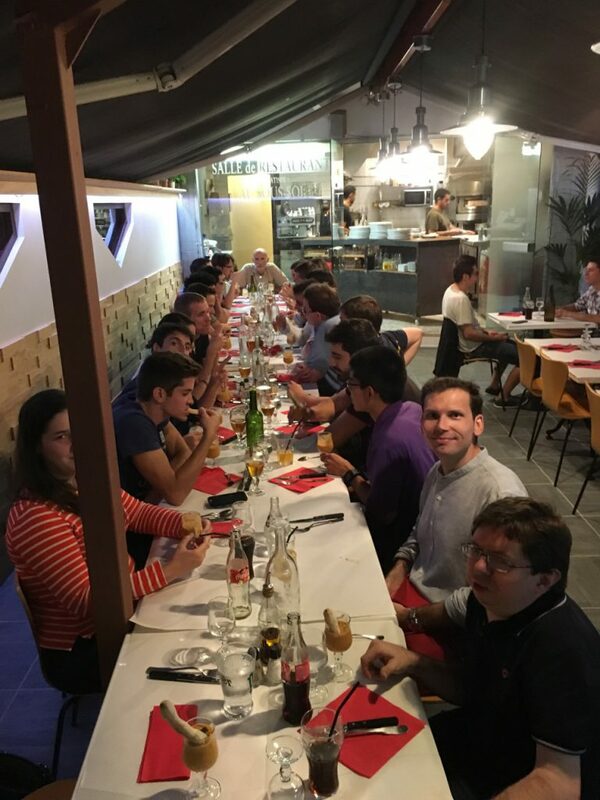 On September 15 (almost one month ago), we held our yearly SCS (Space Communication Systems) diner where the new students meet former students. Our favourite place for such meetings is the Quasimodo pizzeria in Toulouse … a place that I can’t refrain from recommending. Fresh food, nice atmosphere: all the required ingredients to turn a SCS diner into a success. End of December, before leaving for the Xmas break, all our students went through project #1 defences (a.k.a Project “Basic Techniques”). Before moving on to project #3 (a.k.a “Services and applications”), it is a good time to highlight some of these Project #1 outcomes. Hussein and Kogulan have been tracking geostationary beacon signals using software defined radio. 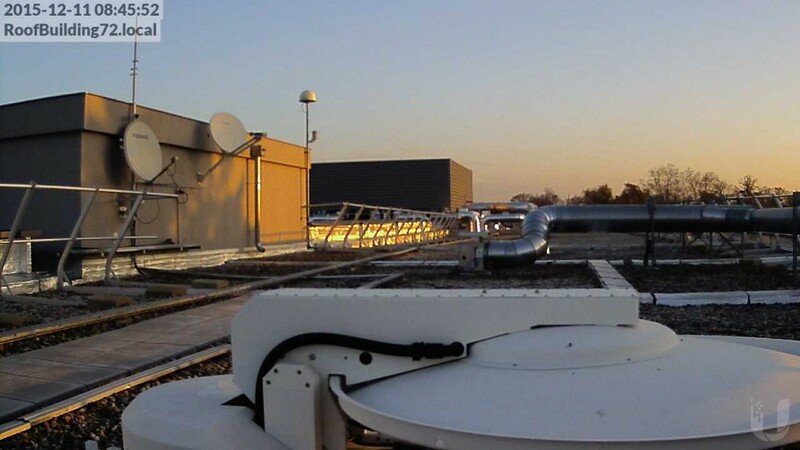 Gérald and Ramon contributed to further improve our antenna facilities. 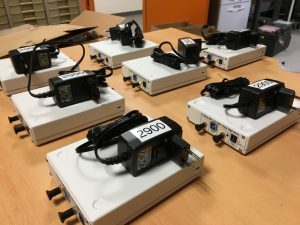 They evaluated and tested an RF-to-optical transceiver that is now used to connect one of our dishes with the indoor unit. Antoine and Thibaut have designed and developed a signal analyser based on one of our software defined radio platforms. Finally, Adriana and Alexander have emulated a “not unlike DVB-S” communication chain based on – guess what – software defined radio and a new toolchain we have in the lab called LabVIEW Communication Design Suite. Yesterday was a hectic day with the official opening of our SatCom experimental room (organised together with the opening of the neighbouring RALF room from our friends and colleagues of ISAE). We had guests from the French Space agency, the Industry and academics. Thank you to the colleagues (Geneviève), students (Antoine, Pablo, Thibaut) and PhD students (Joan, Vicente) who contributed in preparing & animating this event. They also helped in making sure everything was back in place afterwards. 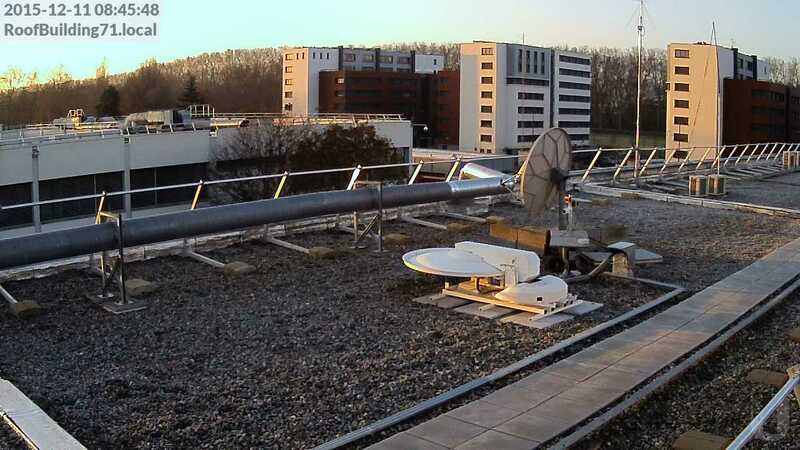 Indeed, this morning we resumed normal operations and the sun rises (unsurprisingly) on the roof of our lab. At this time of the year, a lot of people visit Xmas markets. We do visit the Aussaguel’s teleport for a change. A lot of thank you-s to Hervé, our host, for making it possible.